The legalization of cannabis in some form in more than 30+ states has benefits, perils, and direct impact to real estate practitioners, landlords, purchasers, and tenants and has re-started the Industrial hemp industry. This course summarizes the history of cannabis use, prohibition, and legalization and examines in detail the impacts to property brokerage, disclosure, opportunities, and pitfalls of industrial hemp for all types of real estate and property management. This course isn’t just for real estate brokers! If you want to learn more about the 2018 Farm Bill legalizing the regulated production of hemp and the OK Senate Bill #554, then be sure to sign up for this class. Kirk Goble, ALC – Broker/Owner, The Bell 5 Land Company, Greeley, CO. Kirk is an instructor for the REALTORS® Land Institute and is an Adjunct Agriculture Instructor at Aims Community College, Greeley & Fort Lupton, CO. The hotel will provide a shuttle bus to and from the event location at scheduled times. 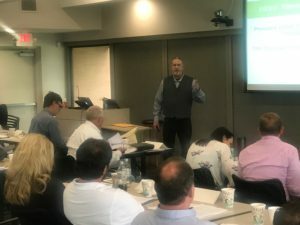 As a chapter of the REALTORS® Land Institute, the RLI Oklahoma Chapter offers in-person LANDU courses one to two times a year for those seeking to gain land real estate expertise and network locally. Courses when scheduled will be posted to the website and we invite you to join us for a course when it’s in Oklahoma. 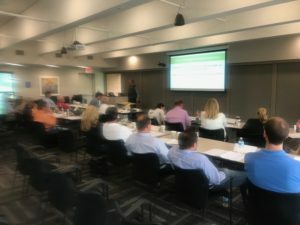 Courses offered by the RLI Oklahoma Chapter are submitted to the Oklahoma Real Estate Commission for approval for continuing education credit. Become a local expert in land transactions! ALC candidates need to complete 104 Land University contact hours to apply for the ALC designation. 56 of those hours are completed in 3 required courses (Land 101, Land Investment Analysis, and Tax Deferred 1031 Exchanges) and the other 48 hours may be completed by taking a variety of elective course options. 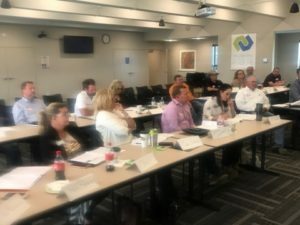 Land 101 class coming to Tulsa later this year. Watch for details. Land 101 is a LANDU-approved course and counts as 16-required credit hours towards the ALC Designation. Land 101 is approved for 16 hours of elective continuing education credit in Oklahoma.